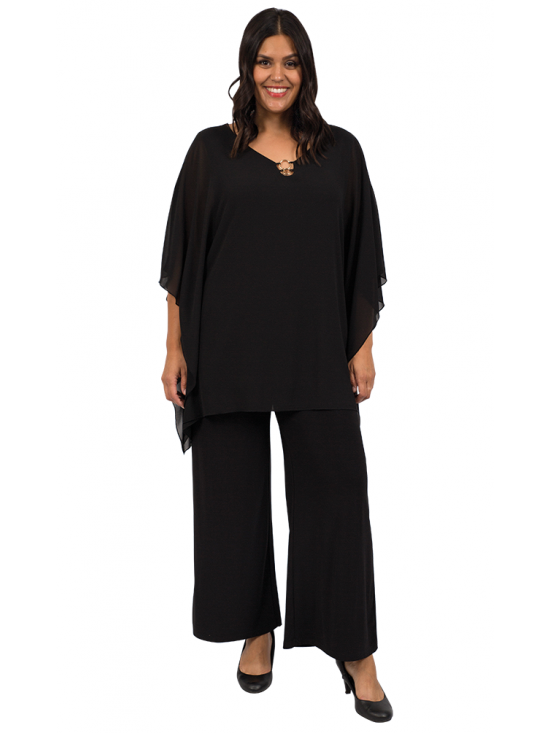 Sophisticated, plus size V-neck kaftan, in a lightweight polyester georgette, is a stunning look for a special occasion. Lined through the body with a sleeveless matching black cami, fastened from the neck and shoulders, it features gorgeous elbow-length flutter sleeves, Back centre seam and cut out with a beautiful, interlock gold circle detail at the neck, for an added touch of class. With a soft, sheer drape thats stylish and flattering to wear, its a perfect look for an evening out.